Welcome back... yesterday was a fun day. We went to an cool restaurant called The Knife that Marc found a Groupon for. We celebrated Marc's parents 46th Anniversary is on Monday and they wanted to celebrate with us. Marc and I are so blessed that both of our parents have been married many years (my parents will celebrate #52 in August). We went to a beautiful indoor mall to get away from the extreme heat (over 110 heat index every day). Literally, the other day I ran out to the mailbox and got blisters on the bottom of my feet from the hot cement. I am excited to share these cards with you. Paper Pumpkin is fun monthly subscription that comes each month right to your mailbox. All of the items are inside the box to make the examples they provide. A few months ago Paper Pumpkin had a birthday and all of the subscribers received an extra free set in our box. 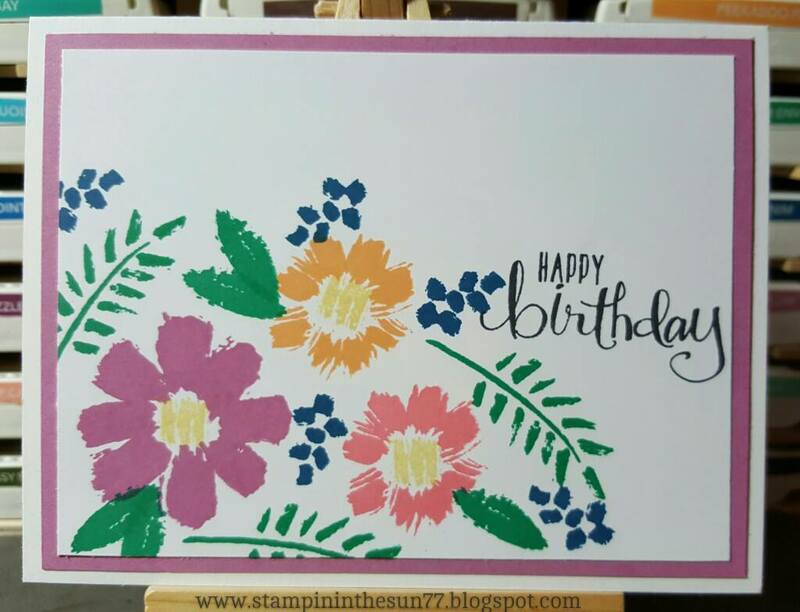 I made these two cards using the same colored inks, which were all of the new 2016-18 Stampin' Up! In-colors. 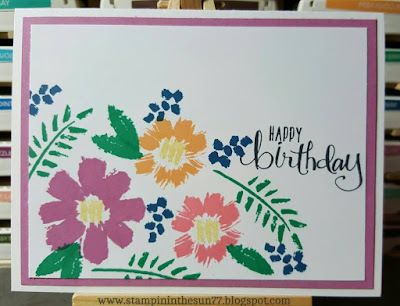 For the card above I used the Whisper White Card Stock with a Sweet Sugarplum layering peeking out. I stamped each stamp at full-strength. The card below is the "stamped off" images on the card stock. It is like having 5 extra colors of ink pads. I love how it looks washed out. 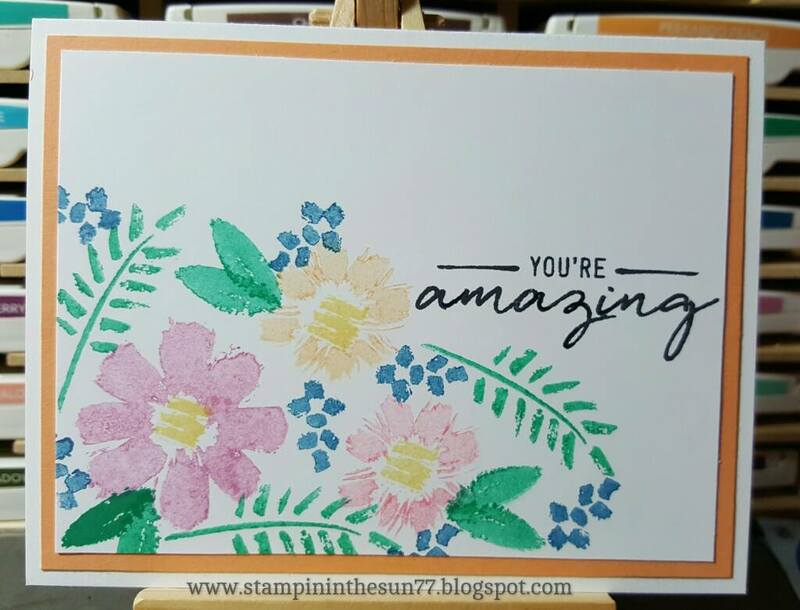 The sentiment comes from the Watercolor Wishes Kit. I really love the script font they use in that set. You have two more days to subscribe for this month's My Paper Pumpkin kit. 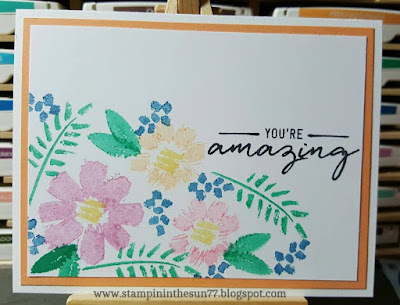 Remember, EVERYTHING is included in the kit from the clear block, ink spots, stamps to the paper, etc.... The only thing you need to have is scissors and basic adhesive (glue or tape runner). This will be your most fun hour of the month! Click this link to sign up now! 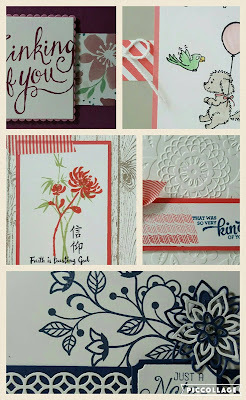 If you sign up today or tomorrow using the link, I will send you the 5 cards of the month (featured at the bottom of the blog).